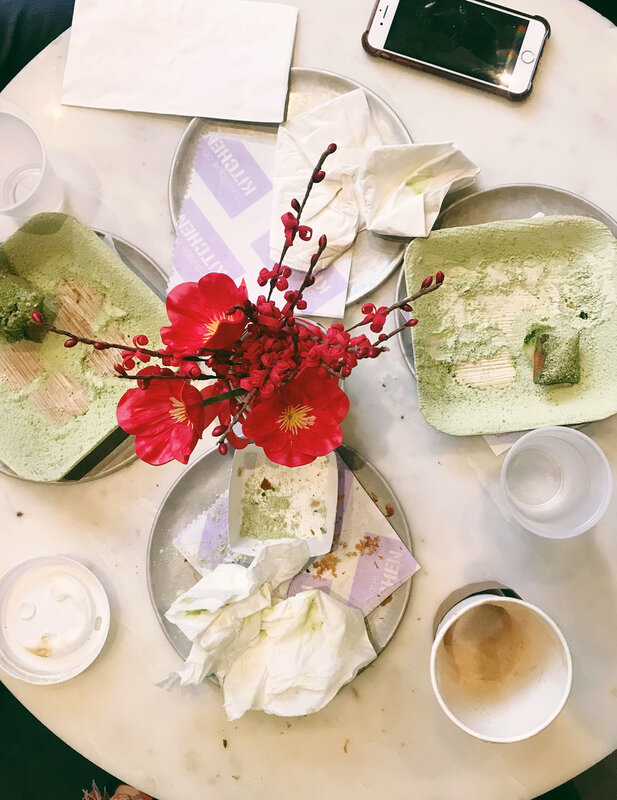 My friend gets two orders of matcha beignets, thinking that means literally two beignets, so, when they bring out two servings of beignets, hot and fresh and dusted with powdered sugar, I eat one of them. I eat my order of ten madeleines, too, glad that they’re mini (and also hot and fresh and dusted with powdered sugar), and a croissant (it’s all right; Tartine has set the bar for croissants impossibly high) and drink a cappuccino. I almost wish I’d gotten a pastry, the grapefruit tart maybe, but I’m trying to curb my cravings, and I’ve already eaten more sugar in this afternoon than I should have all weekend — and, besides, I can come back whenever I want, and there will be pastries plenty to be had in my future.